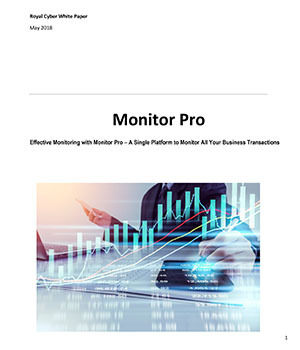 This white paper provides an overview of Royal Cyber’s Monitor Pro to understand why application teams need visibility beyond business transaction monitoring to isolate the root cause of performance monitoring and transaction tracking and remediate them. Our converged approach to performance monitoring and transaction tracking helps troubleshoot performance slowdowns more effectively. Experience has shown that, for most organizations, the greatest return on investment comes from preventing problems in the first place. Improving communication with Monitor Pro will be able to help many organizations.